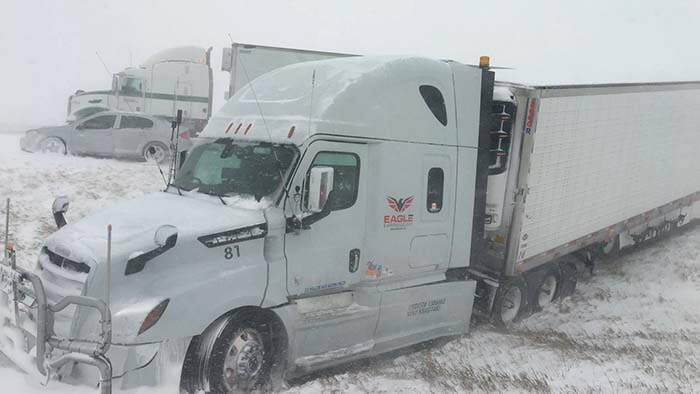 ​100 vehicles were involved in several crashes in a one-mile stretch of Colorado's Interstate 25 during a blizzard on Wednesday morning, 13 March 2019, according to the Wellington Fire Protection District (WFPD). The crashes took place around the same time on Wednesday morning about 15 miles north of Wellington. One pileup involved about 30 cars and another snarled about 40, said Rachael Gonzales, WFPD communications specialist. Other smaller crashes in the area brought the total of vehicles involved to about 100, she said. 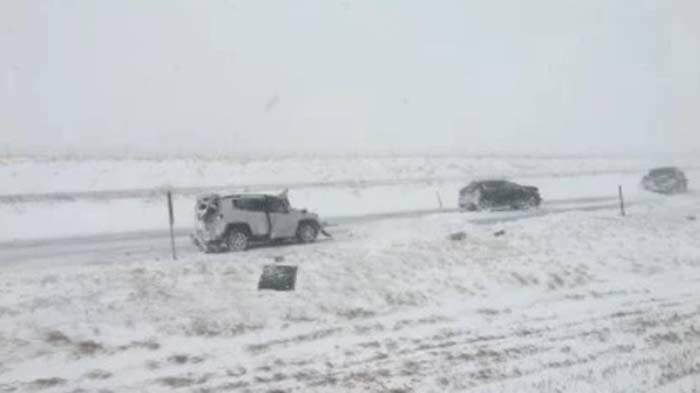 The crashes involved rear-end collisions, vehicles sliding off the road, and some vehicles were struck multiple times, according to Colorado State Police (CSP) trooper Paul Dirkes. 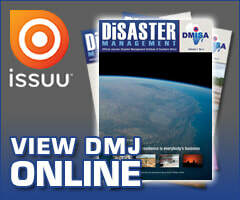 He said the primary crashes were located on northbound I-25 at mile marker 290 and southbound I-25 at mile 290 and 291. Injuries ranged from minor to serious, with no fatalities reported. A few people with serious injuries were transported to Poudre Valley Hospital, Dirkes said. 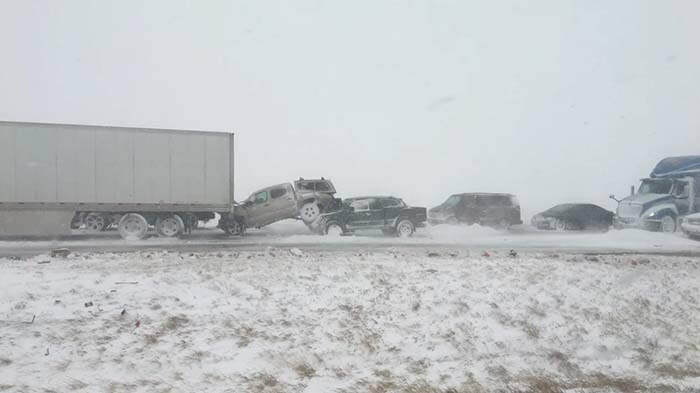 Wellington Fire Protection District says they arrived to find a six-vehicle crash which then grew because of poor road conditions. 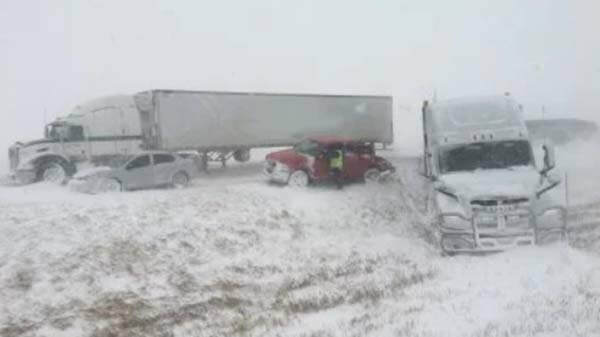 The interstate remained closed on Wednesday night all the way to the Wyoming state line.